The initial contract in June 1941 was for 10,000 rifles. Previous to this date, Mossberg had used only a letter codes on their production rather than serial numbers. 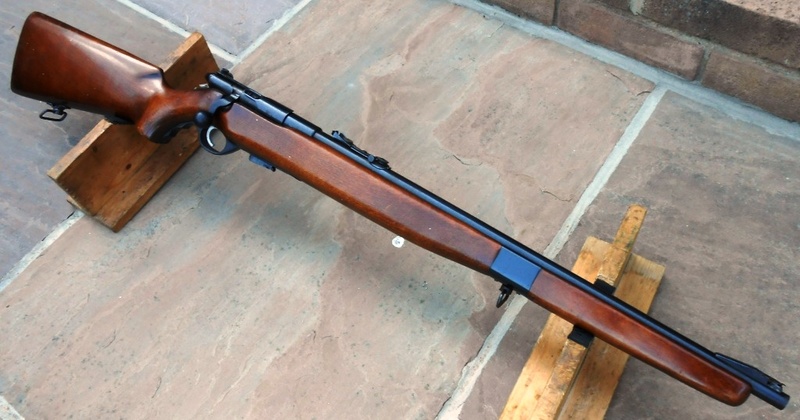 Arranging to add the serial numbers required by the British Government took time, and the first 2,500 rifles left the factory not marked with a serial number. This meant the serialised rifles ran from number 2501 to 10,000, and no earlier numbering should be seen. Two years into the 1939-45 War, Britain was suffering a serious shortage of suitable training rifles. With all British manufacturers committed to the manufacture & supply of Full Bore service arms, there were simply not enough small calibre rifles to go round. Local Defence Volunteer units were utilising almost anything available, and many small-bore rifles available from gunsmiths or manufacturers were purchased by the War Office for training purposes. 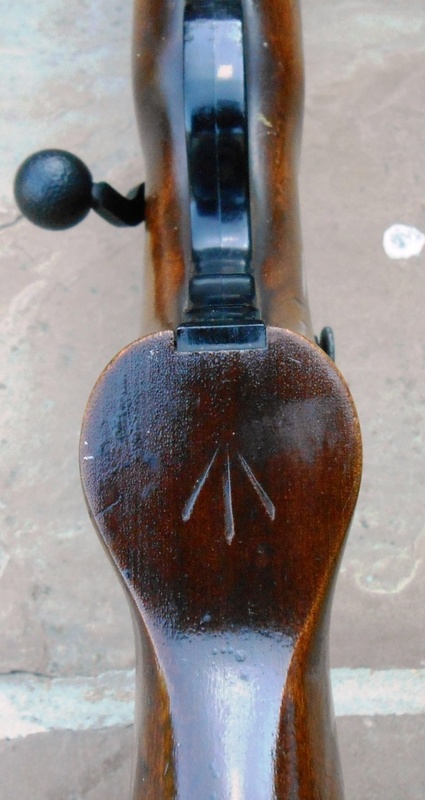 Originally only fitted with a barrel mounted tangent rear-sight, the British early contract rifles had the Mossberg receiver mounted aperture sight added to replicate the rear-sight of the Lee-Enfield No.4 Rifle. The Mossberg rear aperture sight was a very fragile design not really suitable military use. Many were damaged and removed as is the case with this rifle. 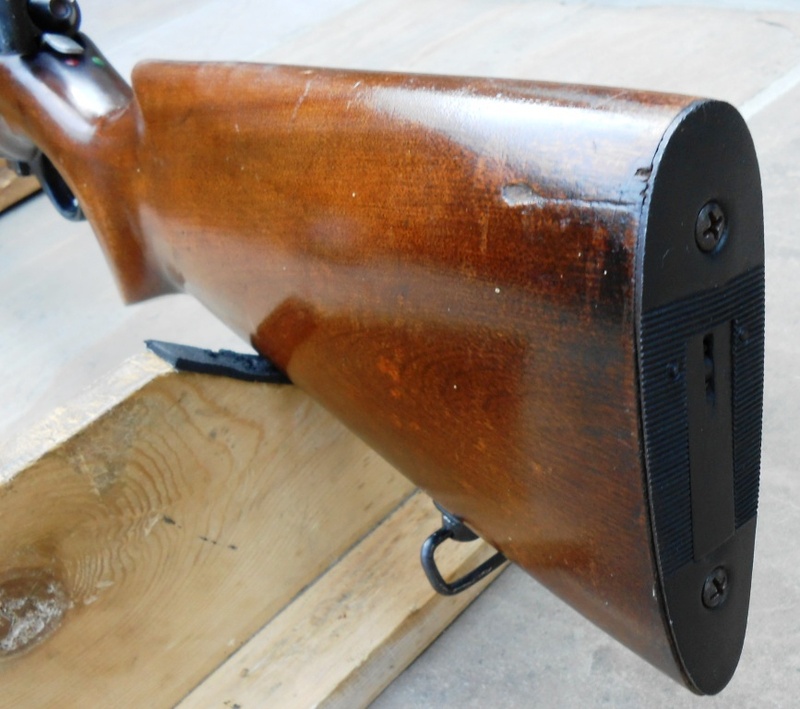 Parker-Hale modified one of their rear-sights with a bracket to fit the left-hand side of the Mossberg receiver. 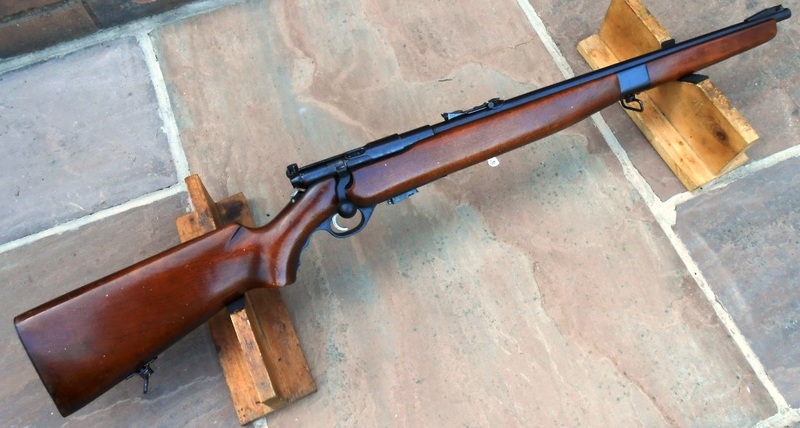 The Parker Hale sights were retrofitted post war to some of these rifles. I haven’t managed to find out if the reason for very few being available in the UK is down to the fact they were returned to the US under the Lend Lease terms. 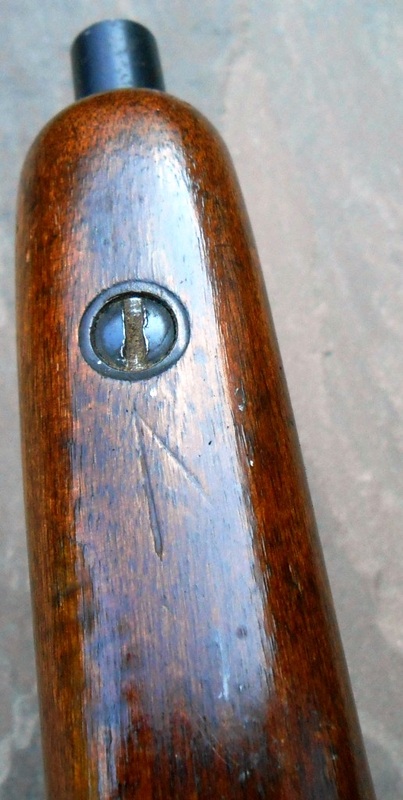 It is quite easy to identify these rifles as the barrel & receiver are marked "UNITED STATES PROPERTY". Sometimes it is only the barrel or receiver that is marked. According the American NRA the M-B is a designation applied by Mossberg for rifles shipped overseas; this is pure speculation as I have never seen this in proven documentation.